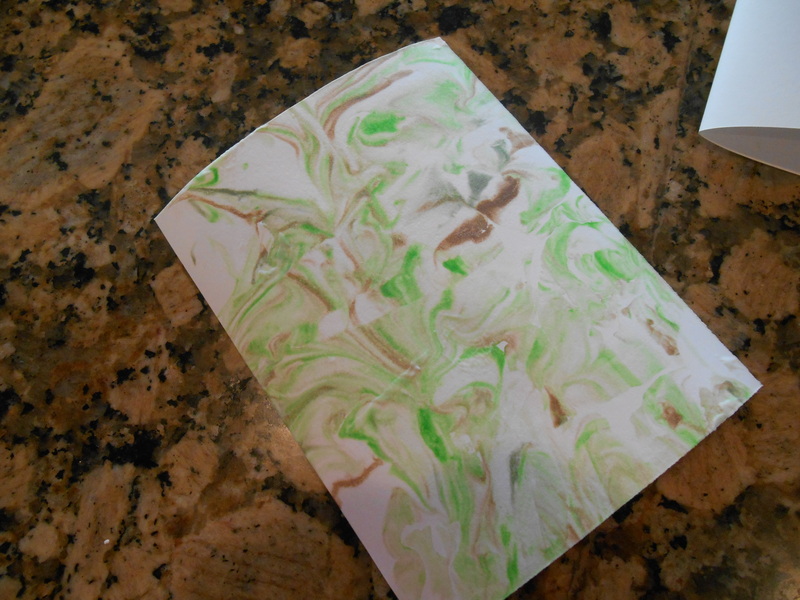 Why not have your kids help you make backgrounds for cards? * Paper towels * Apron if you really get into to crafting! First, have each person decide what colors they would like to use. I think 3 colors works best, but you can do as many colors as you like. 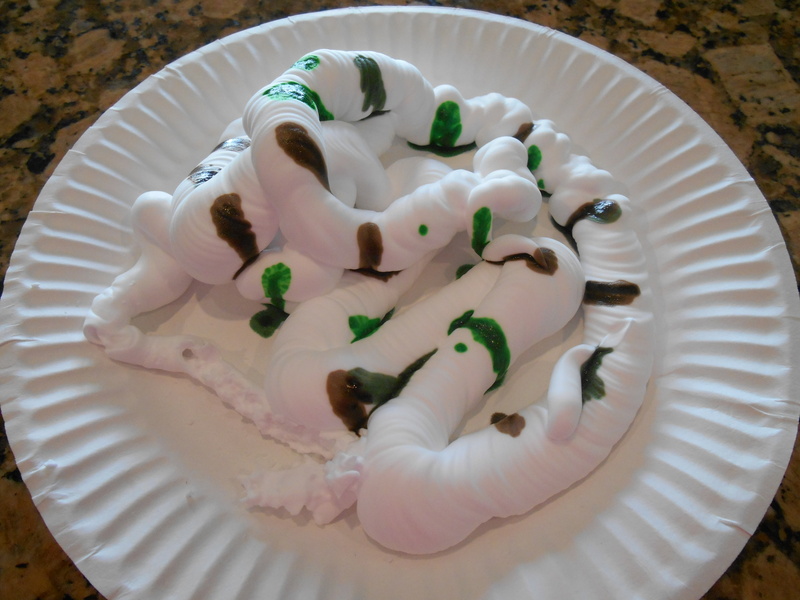 Next, apply a layer of shaving cream over the entire middle of your paper plate. 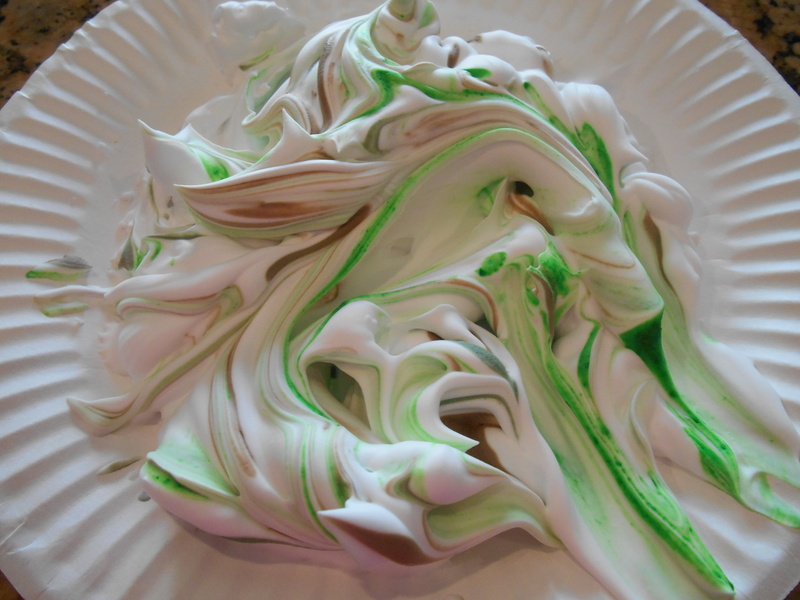 Then, apply 3-4 drops of each color atop the shaving cream in different areas. I used Ranger Distress Re-inkers: Vintage Photo, Forest Moss and Bundled Sage. 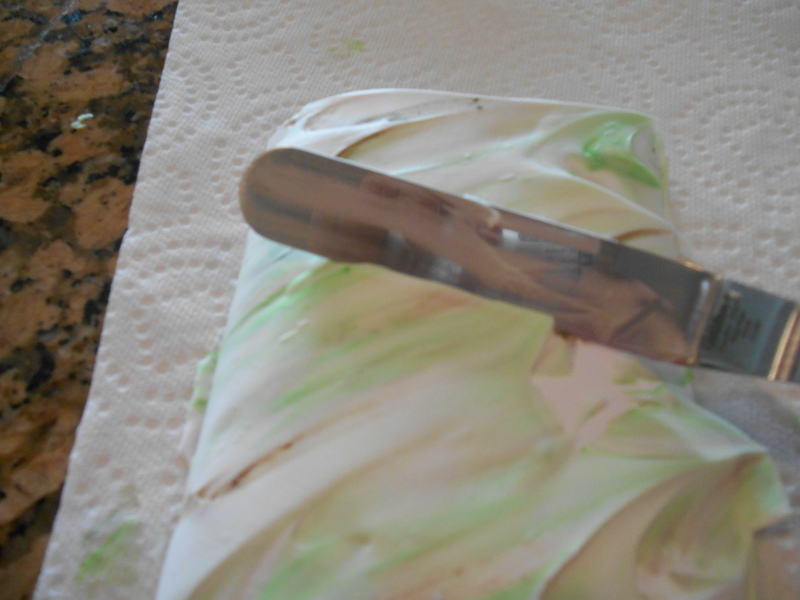 Using your plastic knife, gently “cut” through the shaving cream to swirl your inks. I find that 6-8 cuts and swirling motions make a good pattern. 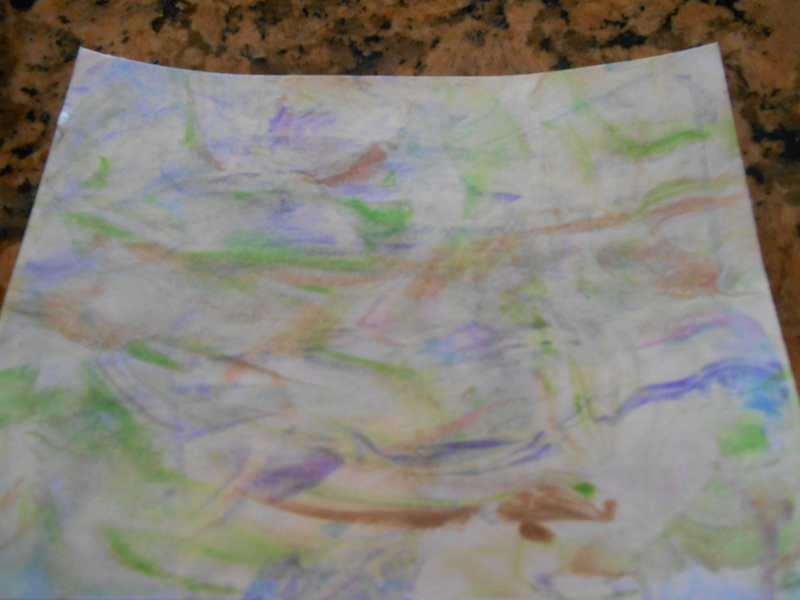 Next, lay your piece of paper on top of the shaving cream/ink mixture. 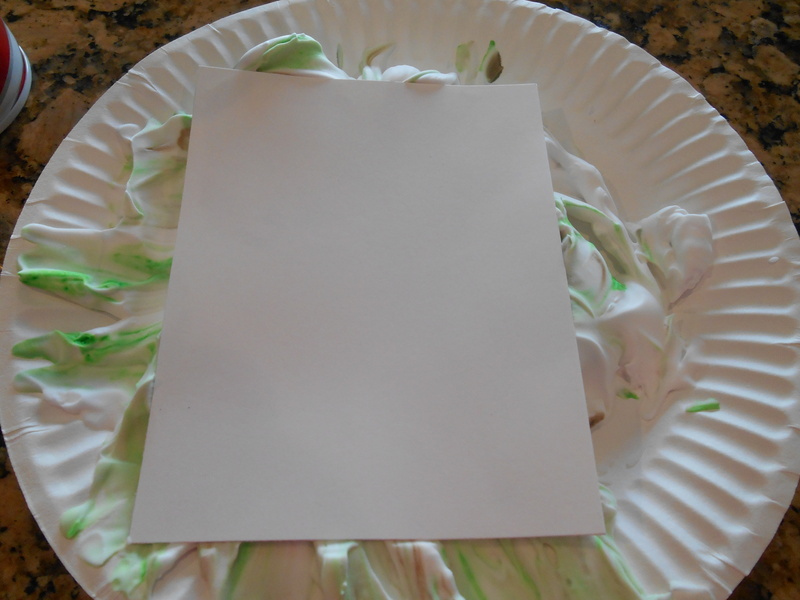 Push gently along all of the paper so that the entire surface has shaving cream on it. Lift the paper off off the shaving cream and use your flat tool scrape off all of the shaving cream. If you need to, wipe off the tool with a paper towel and repeat. You can also put that shaving cream back onto the paper plate. It can be re-applied to make a muted look. Lay your paper down with colored side up so that it can dry. Now you have a great marbled background to use for any projects. You can stamp on top of this marbled background with a Staz On ink. It’s an easy and fun project for kids to do as gifts for Dad, Uncle, Grampa. For an added twist, you can double layer. I did a green based set and purple based set. 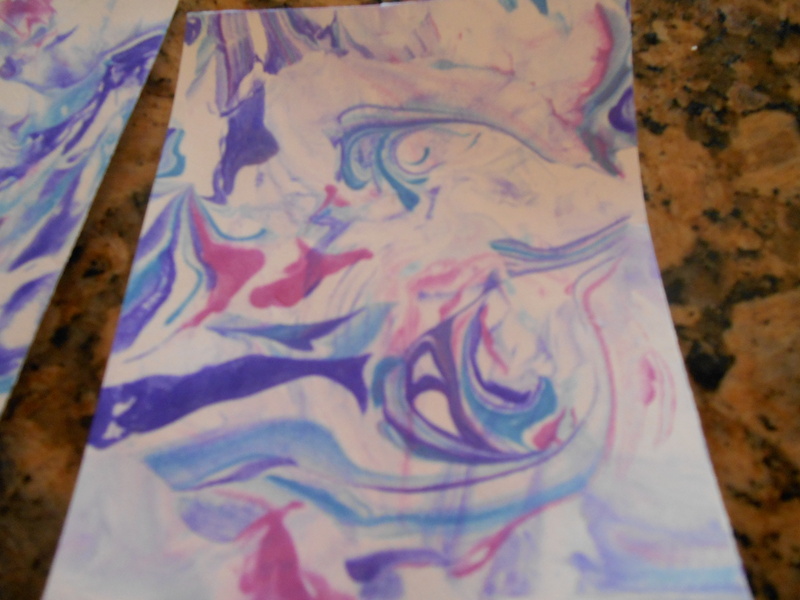 I then put the green marbled paper into the swirled purples to get a spring looking effect. This one I used Salty Ocean, Victoria Velvet and Dusty Concord. This one I dipped in all of the plates!